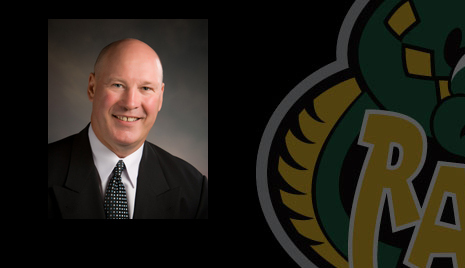 The Bradford Rattlers have hired former NHL Coach Al Sims in the Head Coaching position for the 2013/14 season. Coach Sims comes the Rattlers organization having one of the most accomplished playing and coaching careers in North America. Al's playing career started in the QMJHL playing with the Cornwall Royals. After two successful seasons as a major junior superstar, the Boston Bruins selected him in the 3rd round of the 1973 NHL Entry draft. Sims made the jump right from juniors to the Bruins line-up as a young 18 year old. Sims played just shy of 500 games in the show between the Boston Bruins, Hartford Whalers and Los Angelous Kings organizations. He spent the majority of his career playing as Bobby Orr's defence partner with the Bruins. Following retirement from the NHL, Al shifted his attention from playing to coaching. Where he has enjoyed just as much success. Sims began his coaching career with the Fort Wayne Komets, a minor pro team that played in the now defunct IHL. Following leading the club to a convincing league championship, Sims once again found himself back in the NHL. This time however, it was behind the bench. Al was selected to join the Anaheim Ducks coaching staff alongside future hall-of-fame Head Coach Ron Wilson. Sims spent three seasons behind the Ducks bench before being hired away by the San Jose Sharks in 1996. The Sharks named Sims Head Coach of the squad. Sims has coached some of the game's greatest players. Including Owen Nolan, Ed Belfour, Paul Kariya, and many more. Most recently, Sims has spent the past 10 seasons as the Head Coach with the Fort Wayne Komets again. He lead the club to four championships in the past six seasons. The club served as the farm team for the NHL's Columbus Blue Jackets. The Rattlers organization are excited to begin the season with such a qualified coach behind the bench. Sims began this morning running the on-ice at Rattlers training camp. On behalf of the entire organization, welcome Al! We are looking forward to a successful season under your guidance.